We Video is a collaborative online video creation tool. 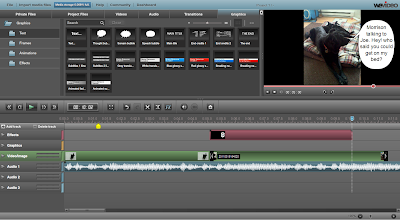 In the video editor you can upload your own media clips or use stock media clips to produce your video. The video editor provides tools for trimming the length of display and or sound of each element you add to your video project. 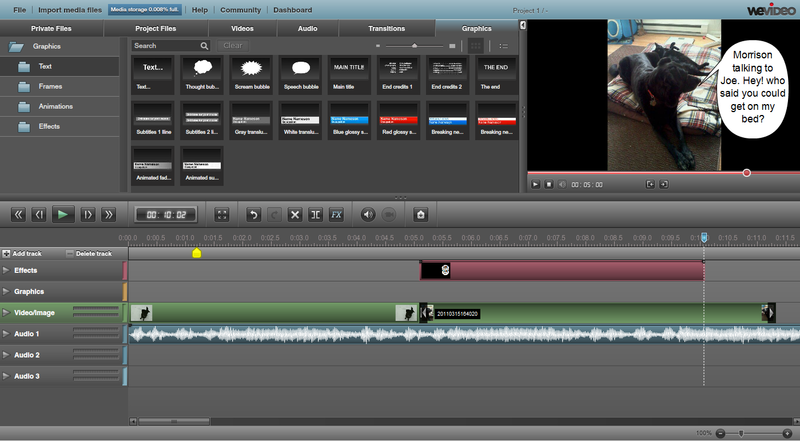 What makes We Video collaborative is that you can invite other people to create and edit with you. We Video offers four different user plans. The free plan allows you to upload your videos to YouTube and Vimeo but does not allow local downloads. I've only spent about thirty minutes with We Video so far but I already know enough about it to know that I want to have my students using it in a couple of weeks when they start a video creation project about early sectional differences in US History. My students have netbooks which do not have a good video editing tool installed on them. We Video will allow them to develop their videos online and with a partner. Because I will be introducing We Video to my students, I'll be writing up detailed directions on how to use it soon. I wiil be sure to post those directions here on Free Technology for Teachers too.